It occurred to me just as I sat down to write this, that though I’ve had the pleasure of technically being on vacation for just over a week now, it feels as if it officially starts right this moment. Christmas has come and gone, along with all the craze (but fun!) that comes with it; the road trip to and from Santa Cruz is behind me; my gifts are safely stored in their new homes; my laundry is done; my fridge is stocked; a new book is on my Kindle ready to be devoured; I just put on a pot of coconut vanilla tea (my current obsession); and my mind is slowing. In other words, I can physically feel myself relaxing some – finally! I suspect that while I adore the time spent looking out a car window at the many facets of California for 6 straight hours, spending time with my boyfriend’s family for Christmas, then taking a day trip into San Francisco, it’s hard to truly decompress when you’re not in your own surroundings. At least, it is for me. Though I always love travel, a change of scenery, a hiatus from the day-to-day, I always seem to miss home. I’m happy to be back in La-La-Land! I smile often as I look back over this first week of my vacation and Christmas Day. “Santa” was extremely kind this year and I’m happy to have gotten to spend some time getting to know my boyfriend’s family more. Yet, I’m reminded about why one must be careful over the holidays. It’s easy to get caught up in the “stuff” and forget that all the build-up, while delightful, can often lead to a sense of….what’s the right word? Disappointment? Sadness? People spend weeks and weeks gearing up for one day. I’ve often heard that once the gifts are opened, you’ve gained a few pounds thanks to the amount of food readily available, and your loved ones head home and back to their lives, there’s a bit of a deflation in spirit the day after, which is understandable. Happy Christmas Eve! If you’re anything like me at the moment, you’re relishing the sensation of what this time of year is all about: good company, good food, and a much-needed change of pace. It’s been nice to sleep in a bit, get through back issues of magazines, catch a film in the middle of the day, and to generally leave the routine of what a normal week might look like behind. And yet, in some ways, I haven’t. Admittedly, it’s been a struggle to really decompress and stay present. It’s showing me just how much pent-up exhaustion I’ve been carrying around with me for quite some time. Perhaps it’s because it takes some time to re-train your brain on how to not think about whatever problems that typically distract the mind day-to-day. Perhaps it’s because prepping for the holidays comes with its own set of things to add to yet another “to-do” list that still has your brain on the go, effectively preventing it from really unwinding. I often find my mind slipping toward work or some issue that I promised myself I would step away from for the next 3 weeks to relax and enjoy the holidays, and I get really frustrated with myself. I then get frustrated with myself that I’m frustrated with myself and it’s a bit of a vicious cycle, which completely defeats the purpose of why I made myself take an extended holiday vacation this year. I need the rest. I need some space to breathe and think about what I really want. I’ve already decided that I’ll have to make some pretty big changes in 2015 and I can’t get there if I’m constantly in the middle of a vicious cycle, not taking the time to stop. I was reading December’s issue of O Magazine on the drive up to Santa Cruz yesterday to spend Christmas with boyfriend’s family, and came across a timely article from Martha Beck, aptly titled “To You, From You.” Her thought process was that for every gift you give someone, you should give something to yourself. She wasn’t talking about expensive physical gifts either. Essentially, she was making the point to not get so lost in the craze of the holidays that you forget to replenish and think about yourself. I realized immediately what I needed to give myself: a break. I can be pretty hard on myself, be in my head too much, and rehash or analyze a situation so much that it becomes anything but productive. So, while yes this time of year is for being with loved ones, sharing gifts, and eating to your heart’s desire, I thought I’d take a different approach this Christmas Eve and remind you, as Martha Beck did for me just in the nick of time so as to not miss it altogether, to remember to give something to yourself. This is my gift to you (through Martha, of course), which sums up my opinion on how to really enjoy and stay present this holiday season. 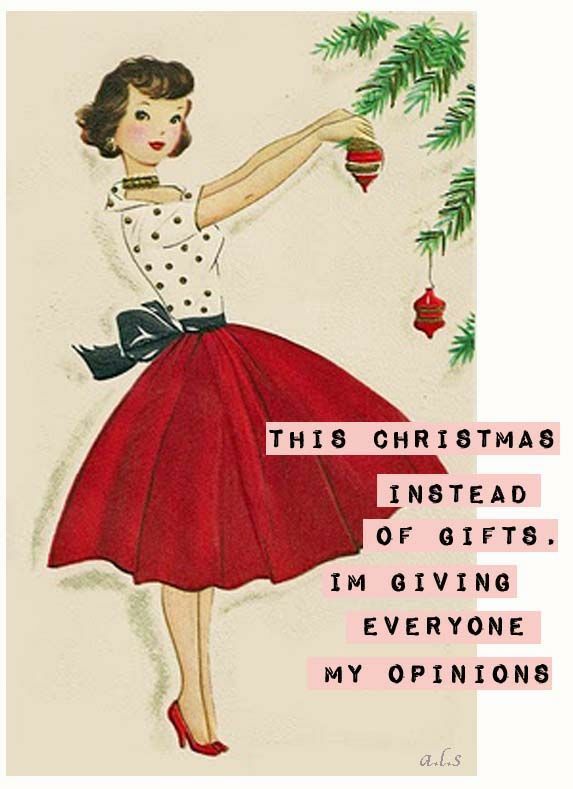 And speaking of being present…I’m off to rejoin my holiday vacation, now in-progress. Posted in Holidays, Travel	by C.
Home, sweet home. LA, I’ve missed you! After a rather chaotic start to our holiday travels with an unexpected visit to the ER, things luckily fell right back into place just in time for Santa and our post-Christmas trip to Half Moon Bay. The weather gods were particularly, if not unusually, nice to us. We found ourselves exploring much of Northern California with clear skies and sunshine above. Christmas was everything I’d hoped it would be. I was in good company, had lots good conversation and laughter, food and sweets were abundant, and Santa was very kind to me. I felt blessed to have such fun and loving people to share Christmas with this year. And the merriness wasn’t over on December 26th. My boyfriend and I planned a little trip further up North to Half Moon Bay for 3 extra days of R&R to get away from it all. I have to say, every time I travel – I find myself beyond delighted at the adventure, the change of pace, and change of scenery. Though I’m always grateful to get out of town and lose myself in new surroundings and to new experiences, I somehow discover just that much more how I love this crazy little world we call “LA.” Dorothy really was on to something: there’s no place like home. And with plenty of time before I head back to the “real world” of work deadlines and emails – I’m excited for a little stay-cation before I have to return back to everyday life in 2014 and it’ll be right here at home. A picture is worth a thousand words, so I thought I’d share some of my favorites. Here’s a little photo diary of the highlights during our Christmas travels with our California neighbors just above, some 300 miles away. Enjoy! 5 Reasons This Week Will Rock: Good-bye, LA. Hello, Santa Cruz! Good-bye, LA. Hello, Santa Cruz! Today begins my journey up North for the holidays and I couldn’t be more excited!! My to-do list is done, my bags are packed, and I’m ready for a holiday adventure. This Christmas, I’m spending some time with my boyfriend’s family – after which, we’re extending our Northern California vacay with a trip for two up to Half Moon Bay for little post-holiday R&R for a few days. If that wasn’t enough to look forward to, there are a few other sweet things going on right now that’s simply the icing on the cake. 1. I dropped off my car at the body shop this morning after smoothly working out the details with my neighbor for the recent damage to my car. My baby is being fixed and will look good as new when I get back into town next week. 2. My second ever full-sized Birchbox purchase, the Coastal Scents® Neutral Mirage Palette Set, (which was FREE thanks to my Birchbox points, hello!?!) arrived at my front door just before leaving town. I wasn’t even expecting it so soon! I’m now looking forward to experimenting with a more dramatic look for the holidays. With 88 shades to choose from, dressing up these brown eyes of mine will be tons of fun! 3. 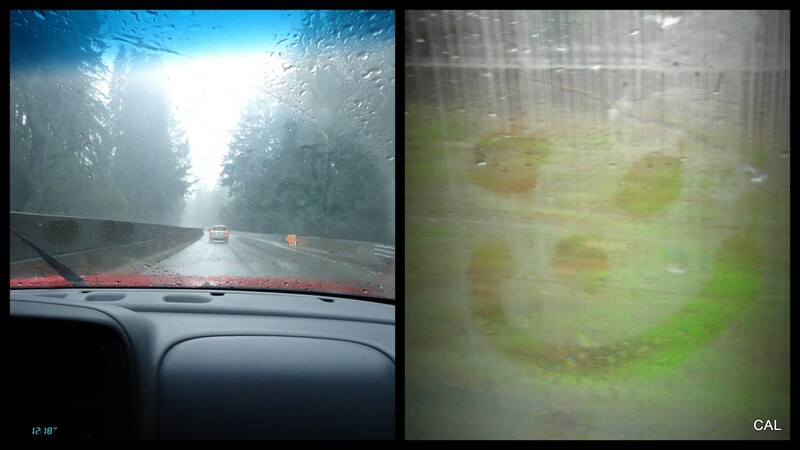 I adore road trips. Particularly, when I get to sit in the passenger’s seat, gaze out the window in the middle of nowhere, and zone out – not a work deadline or bill to think about. When I’m not in the mood to stare blindly out the window, I’ve got my Kindle full of new books to read and like 4 months worth of Glamour to get through. Even better, I get to talk to my favorite person for hours on end. 4. Nothing in the world makes me happier than when I’m traveling or exploring some place new. It’s when I feel the most alive. Our stay in Half Moon Bay where we’ll drive up to Sausalito, and perhaps into San Francisco, is a highlight to our trip that I’m excited about. 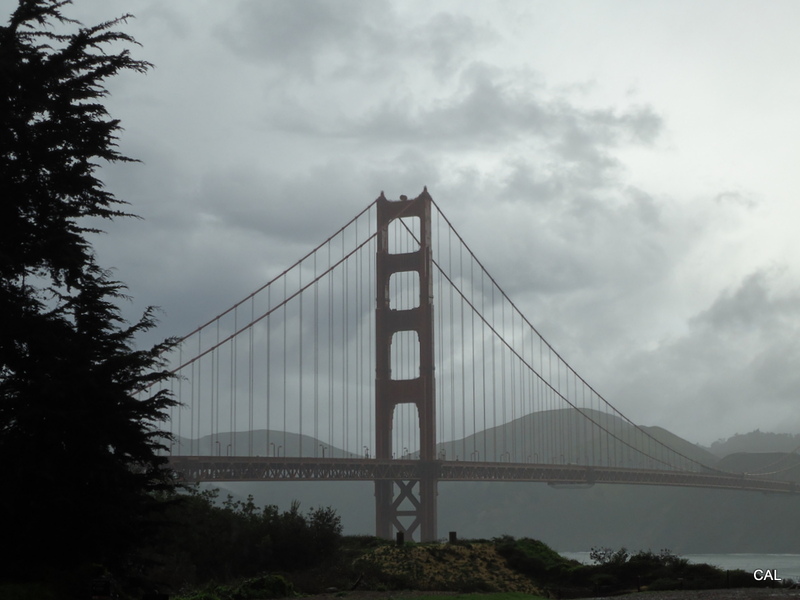 I’ve never been to Half Moon Bay or Sausalito, but I’ve heard nothing but good things. 5. Duh, Christmas! All week long – you’re around great people, sharing gifts, good conversation, good food, lots of laughs, and too many sweets to count. What more could you ask for? Oh, I do love this time of year. And unlike last year, I’m not taking a 2 week break from blogging. All That Glitters is going on the road! I hope to share some of my holiday adventures as they unfold. Happy Holidays to you! Have a great week! Posted in Explore, Fun, Uncategorized	by C.
It was December 23rd; a rainy, Sunday morning when we hit the road from Santa Cruz and took the nearly 2 hour drive into San Francisco for our first official start to a Northern California Christmas vacation. And talk about RAIN! 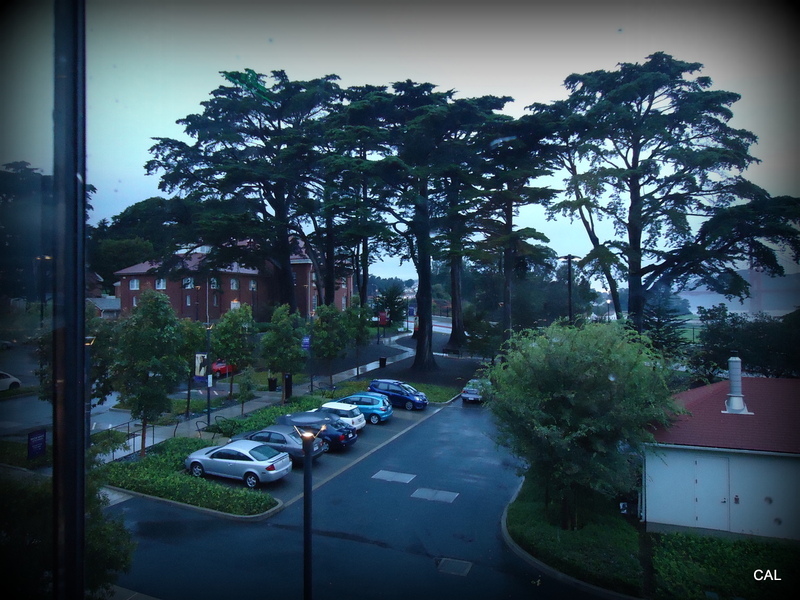 The vast difference I learned right away was that when it rains up north – it rains non-stop, all day. In L.A. – it rains, then stops, might sprinkle, and then it’s sunny again! We didn’t let the wet skies change our plans or our mood. I was beyond excited to spend the day learning about one of the greatest contributors to the legacy of Hollywood and later my childhood, Walt Disney. 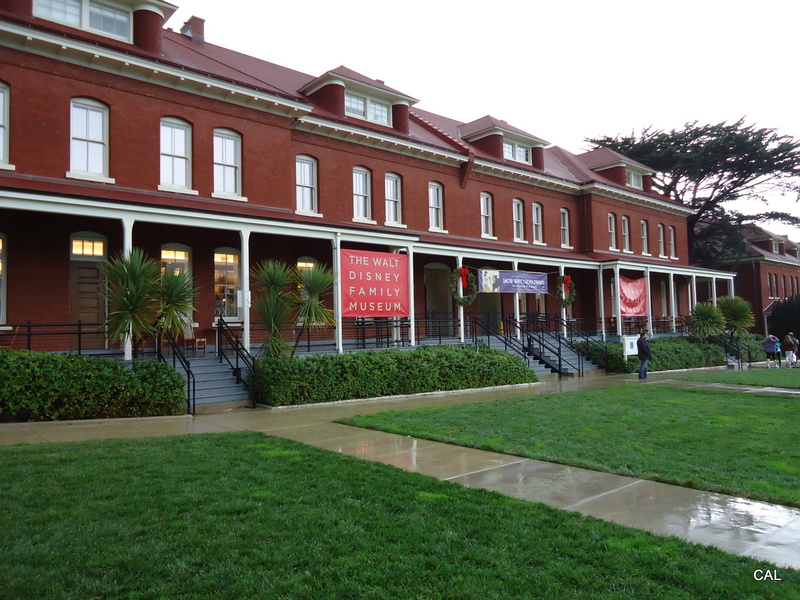 The Walt Disney Family Museum sits on an old military base in The Presidio district in San Francisco, with stunning views of the Golden Gate Bridge in the backdrop. It houses the ancestry, history, and creative legacy of Walt Disney; from family beginnings, to his rise to success in the animation world, to the creation of his film studio, and later the conception of Disneyland, to his untimely passing in 1966. 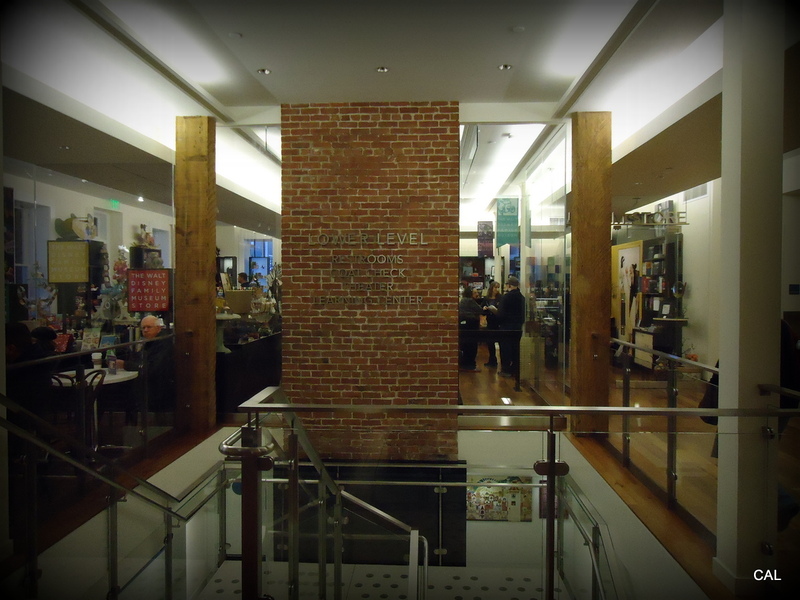 The Walt Disney Family Museum does an exceptional job of educating its visitors on all things Walt Disney. 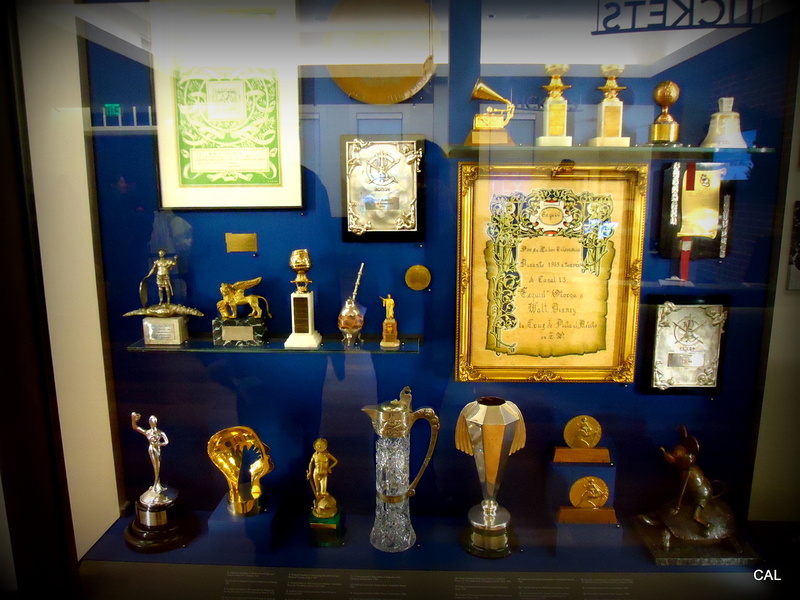 The massive collection showcases archival documents, telegrams, early sketches and drawings, family photographs, news paper clippings, video footage, 3D models, replicas, real artifacts, movie posters, awards (where even Oscar himself sits among the prized trophies). I left the museum three hours and 10 galleries later feeling like I knew Walt Disney in a way I never had. He wasn’t just the creative genius whose motto was always surrounded by the ideology of dreaming. 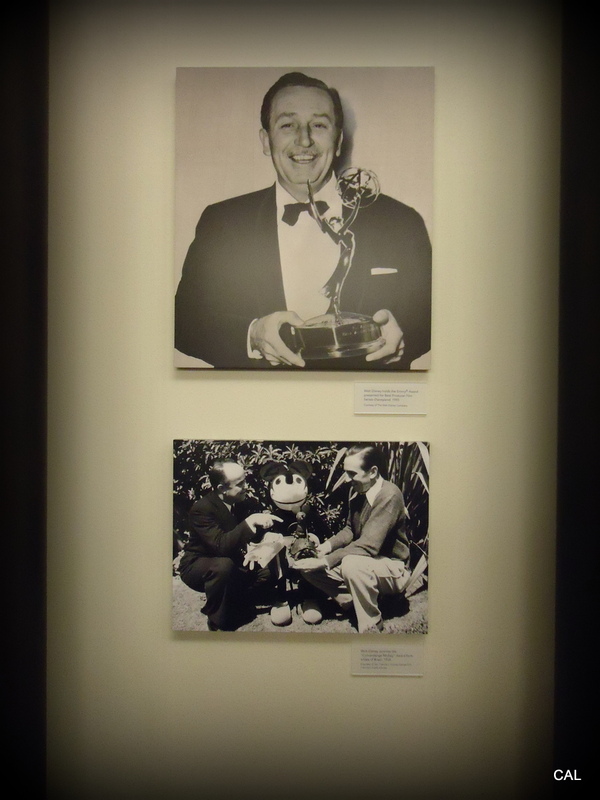 The museum also paints the portrait of Walt Disney as a human being. 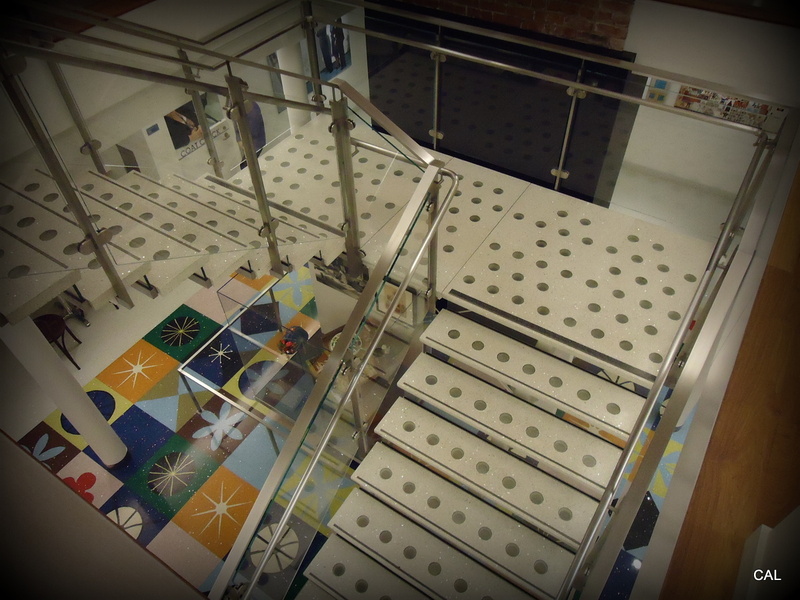 Unfortunately, photography was not allowed in the galleries, but was allowed in the main lobby space. Here are just a few photos from an amazing start to a wonderful Northern California Christmas adventure. I highly encourage any “dreamer” to go for a visit and learn from the master.